Sherry enjoys a bad reputation for absolutely no reason - it is one of the manliest and most versatile wines out there. 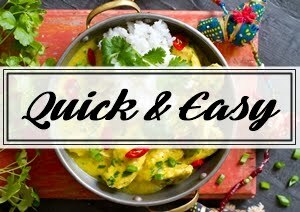 Here's everything you've ever wanted to know about this noble drink! 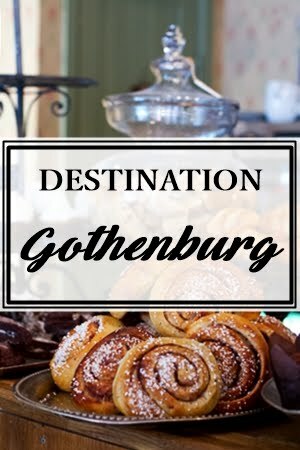 Just hearing the name makes you think thimble-like glasses, English grannies and tiny shots poured in strictly for medicinal purposes. 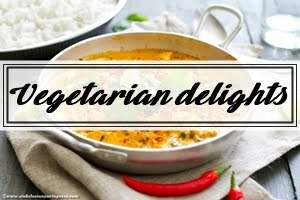 The image is as unfortunate as it is wrong. Sherry is by far one of the most intriguing specimens of the wine world and in its versatility one of the most misunderstood ones as well. 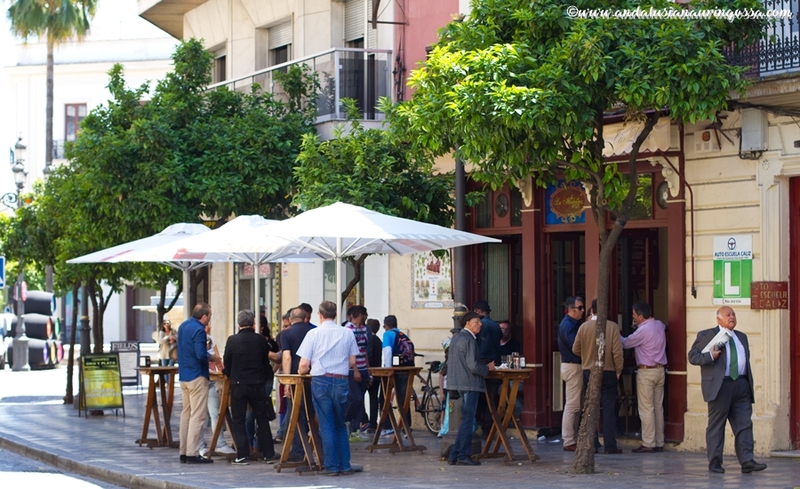 It's also one of the manliest tipples out there - until 1970's women had absolutely no business entering tabancos, local sherry bars. 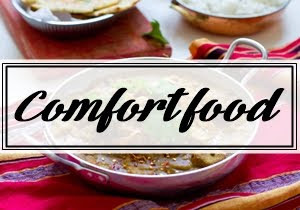 Located in Southwestern corner of Andalusia Marco de Jerez, Andalusia's Sherry country comprises of the region among the towns of Jerez de la Fronteran, El Puerto de Santa María and Sanlúcar de Barrameda. 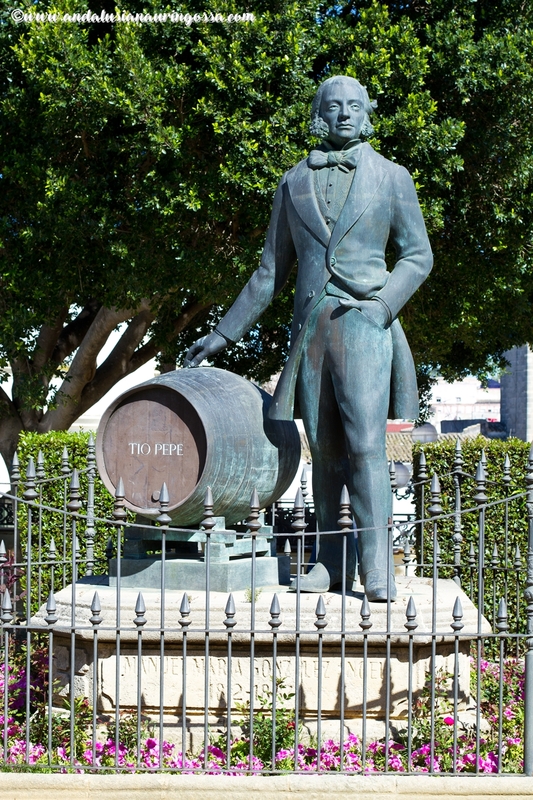 Jerez in itself had been a significant centre of viticulture ever since the Phoenicians brough wine-making to Spain back in the 11th century BC. 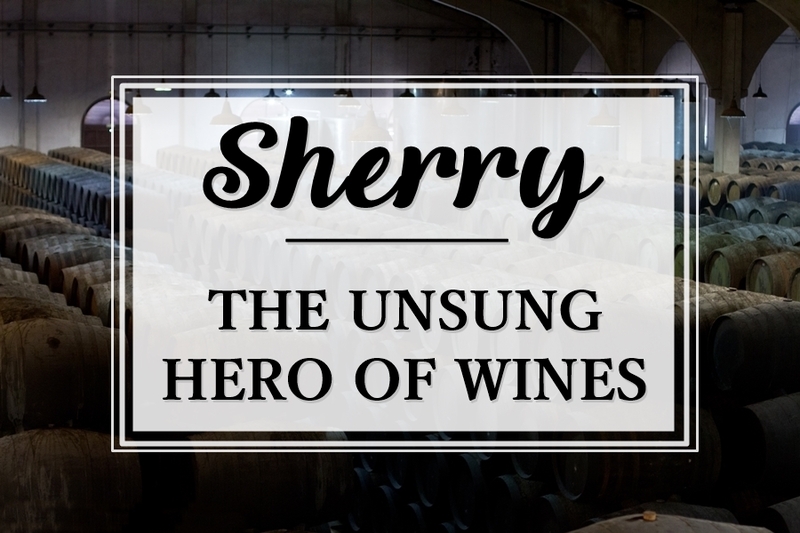 Perhaps surprisinglu though sherry, named after its birthplace Jerez, is something we have the Arab conquerors to thank for. The Moorish invaders that took over the Iberian peninsula in 8th century AD, brought with them the art of distillery which was required in perfume-making - something they were famous for. The Andalusians (bless them) refined this skill into making fortified wine and rest, as they say, is history. 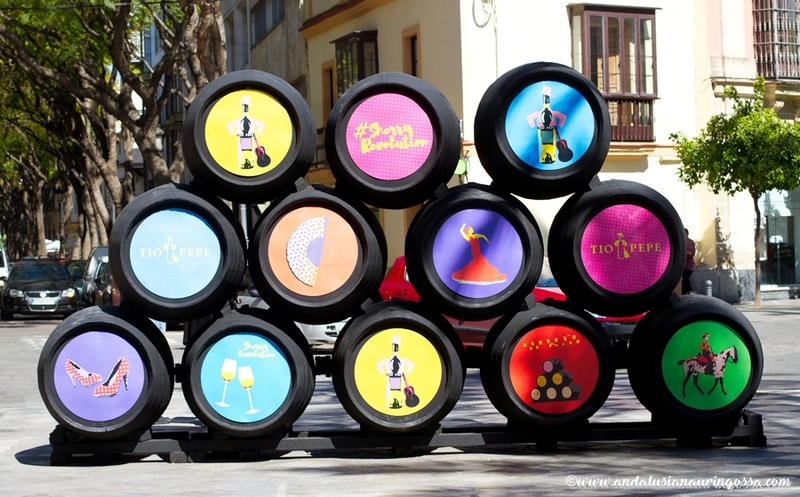 These days it would be impossible to imagine Jerez without sherry, the bodegas and all the tourism it brings to the region. Islamic Arab rulers' own attitude to alcohol was decidedly different from that of the hilarious Hispaniards (Haram, haram! It's a sin! ), but viticulture continued even under their rule for several centuries. After Reconquista, the Christian takeover of the peninsula wine grew exponentially in popularity and by 16th century sherry enjoyed reputation as the finest wine in the whole of Europe. When Columbus set sail to Americas, his ship was loaded with sherry as the quality of drinking water was deemed so poor. When Magellan set to sail around the world, he reputedly spent more money on stocking his ship with sherry than he did on weapons. 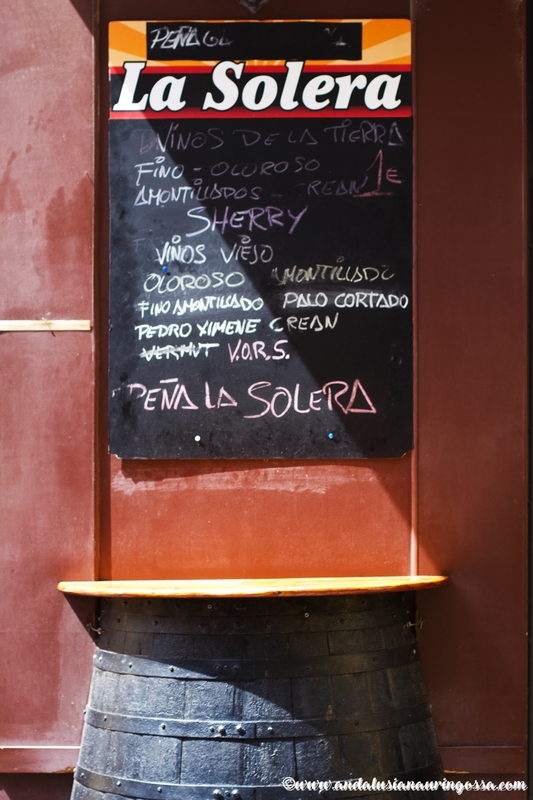 Though sherry's popularity has diminished over the past decades, it's still something no-one travelling in Spain can avoid. I have a feeling that especially during the fería season, festivals held in celebration of the patron saints of each village and town, you, much like I, have made some seriously solemn promises of never touching that potent potion ever again. Sherry marks a very drastic departure of most of the wine. Soil, year and other factors usually crucial in wine-making process have very little to do with the making of this noble tipple. 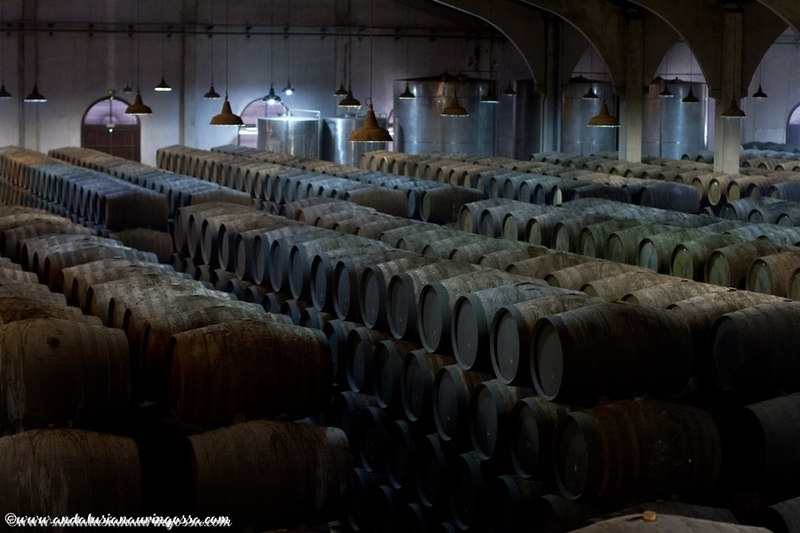 Instead of vineyards, sherry is a wine that is made in the bodegas, cellaries of the wineries. Circumstances in them (location, height from the sea, direction of the wind, distance from the sea...), however, are all taken so seriously that for an outsider it begins to seem a bit esoteric. 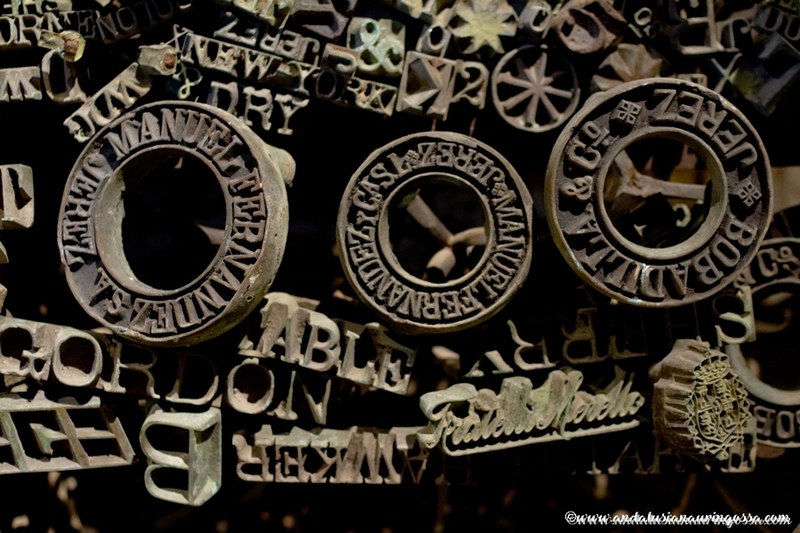 The primary grape used for making sherry is Palomino; others, used for sweet sherries, are Pedro Ximénez (PX) and Moscatel. Out of these grapes Palomino is grown mainly in soil called albariza, which is pale (almost white), reflects sunlight well and is known for its high chalk content. 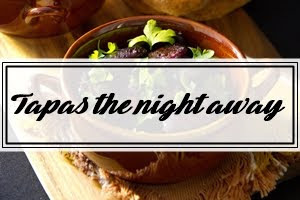 The remaining two grapes are usually grown in darker soil called barros and arena, known for their high clay content (barros) or sandiness (arenas). 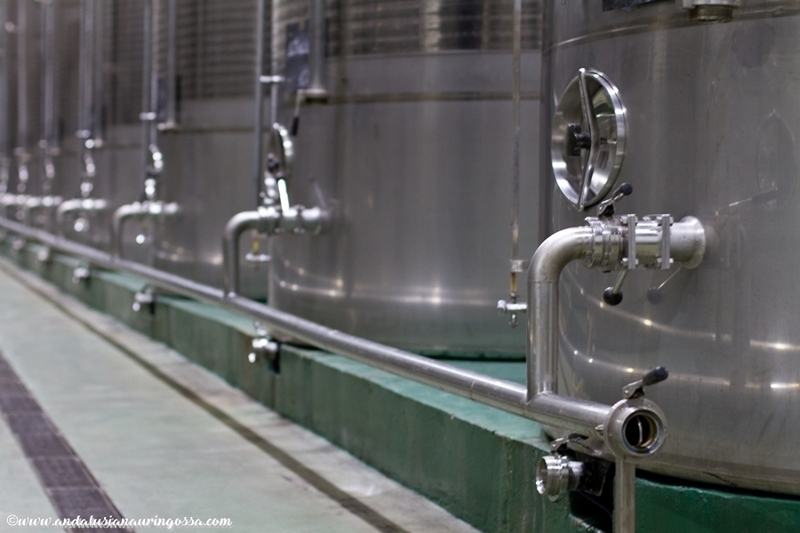 First the juice pressed out of the grapes goes through fermentation in steel tanks, after this the wine is fortified with distillate. Sherries can be divided into two types: those aged biologically and those that are aged through oxidation. The lightest and driest sherries; Fino and Manzanilla, fall into the first category. These age in the barrels under flor, a layer of yeast that is spontaneously created in the process. Flor protects the sherry from coming into contact with air. The alcohol contect of these sherries remains lower than those aged biologically as flor dies if the alcohol content exceeds 15%. It is flor that lends Fino and Manzanilla the almond-like notes that characterize these two. Fino and Manzanilla, both biologically aged, are characterized by their pale colour, drier taste and slightly yeastier aroma. 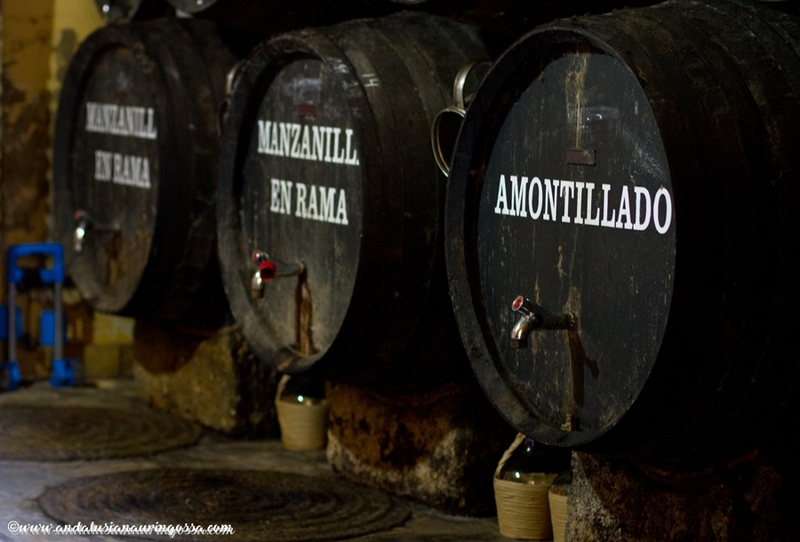 Amontillado on the other hand is partially aged with oxidation and as a result has notably darker colour. In its nuttiness its richer and more aromatic than Fino, but still lighter than Oloroso. 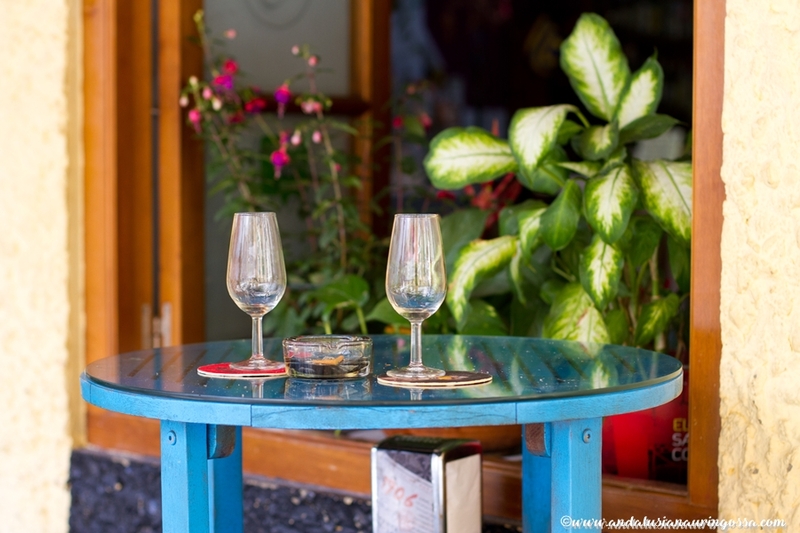 Oloroso is again even darker, more aromatic and more alcoholic than the previous. They are by nature, dry, though sometimes they are blended with PX and sold as Oloroso Blends or Cream Sherries. 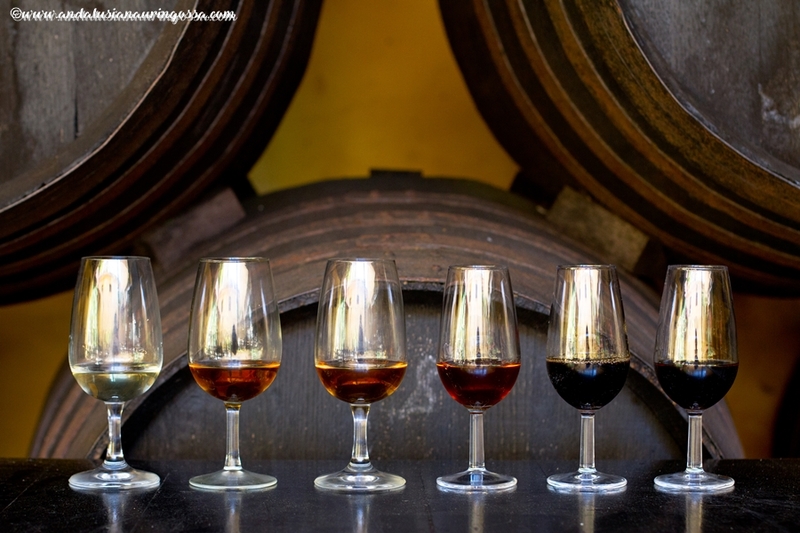 PX and Moscatel serve as the base for dessert sherries, characterized by their treacle-like density and sweetness echoing dried fruit, though surprisingly these sherries are Andalusians' go-to-choices for cooking, such as stewing meats. 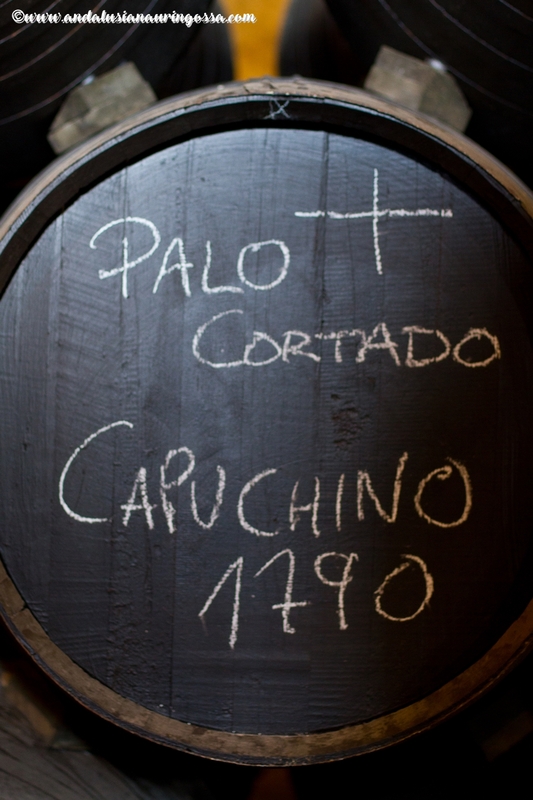 Palo Cortado is the rarest and least known sherry there is. Its flavour sits somewhere in between Amontillado and Oloroso and the whole process is a bit of a mystery. These days it originates from Amontillado, which for some inexplicable reason (most likely unexpected death of the flor) has decided to start evolving into a completely different direction. These make up the smallest segment in sherries. Eagle-eyed cellar masters follow the evolution of each sherry and mark those barrels with Palo Cortado potential in order to monitor them even more carefully - a process that can take years. 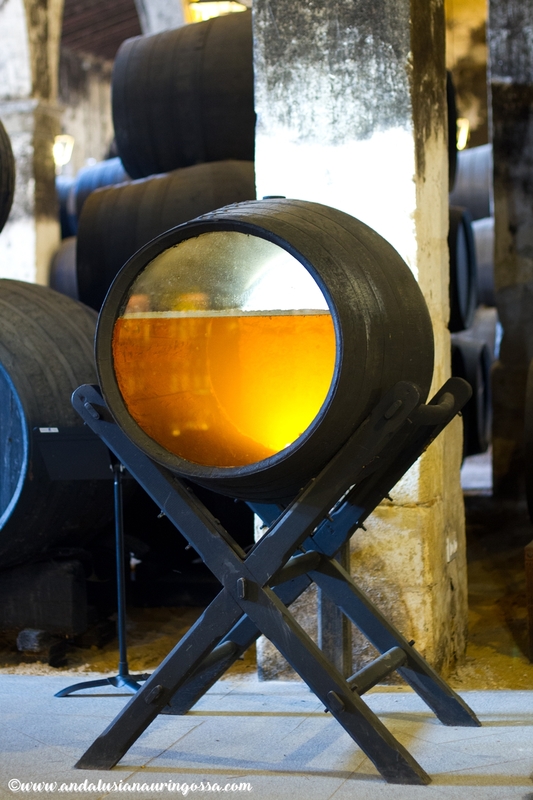 One of the factors that make sherry so special from regular wines is the Solera method employed by the bodegas. The result of this is that the vintages play virtually no role in the wine-making. 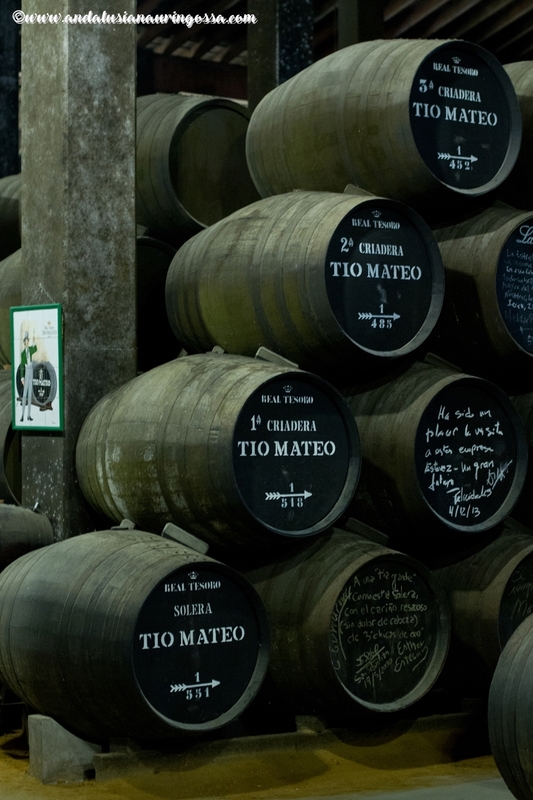 This results in one of the key strengths of sherry: its even quality year after year. In practice this means that each harvest ages separately in its own layer of the barrels known as criadera. Depending on the bodega and sherry in question there can be anywhere between 3 to 10 criaderas. 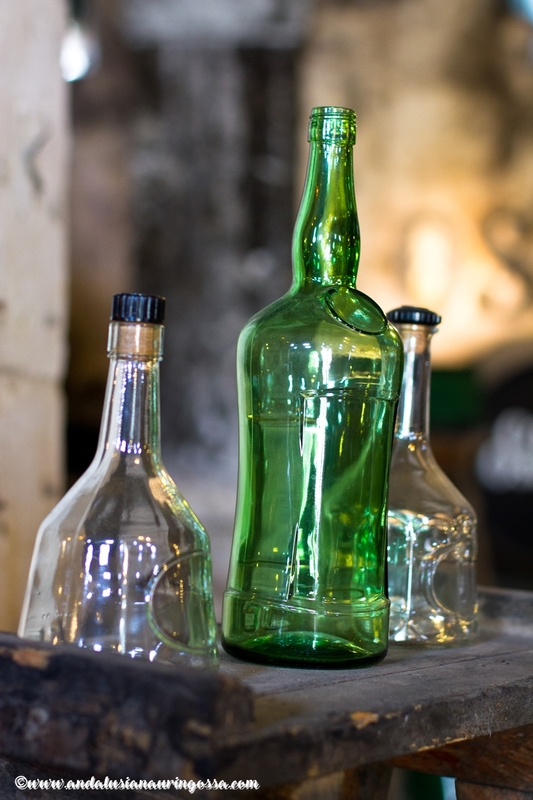 Sherries are bottled from the oldest and lowest criadera called solera. The space freed in this barrel is then refilled with sherry from the previous criadera, which in turn is filled from the criadera before that. 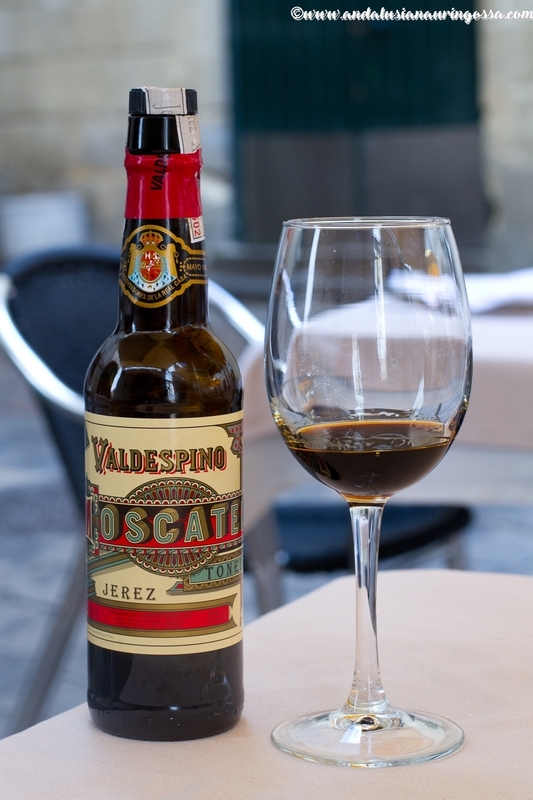 Marco de Jerez was one of the first areas to became its own wine region (DO) in Spain in 1933. These days the same method is used to make sherries both in Australia and in Canada, though officially they can't of course be called sherries - instead they're known as apera. 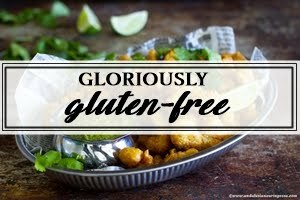 The real deal (if you ask me, anyway) comes from my beloved Andalusia. 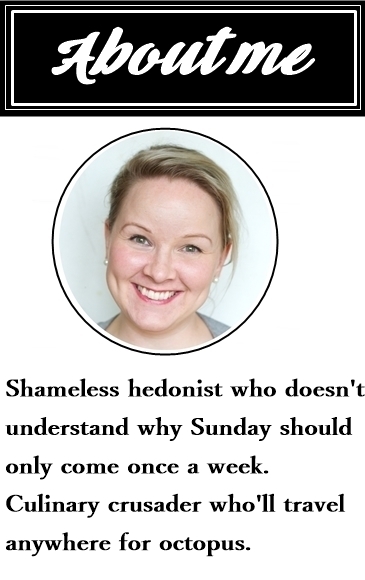 And now that I've got your heads spinning from all the useless sherry nerd facts (hey - anyone up for some Trivial Pursuit?) 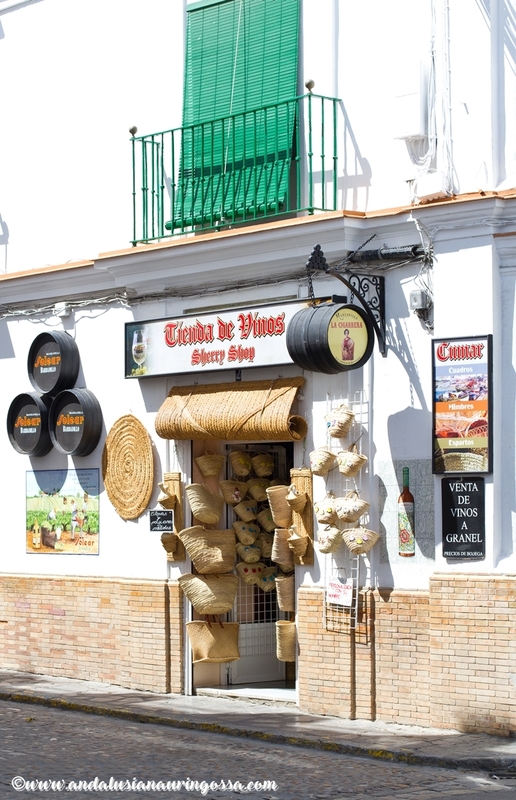 , we'll move on to the fun part: visits to the bodegas! Our first stop is one of my all time favourites and one of key reasons to stop by in Jerez: Grupo Estevez and Valdespinos sublime sherries!